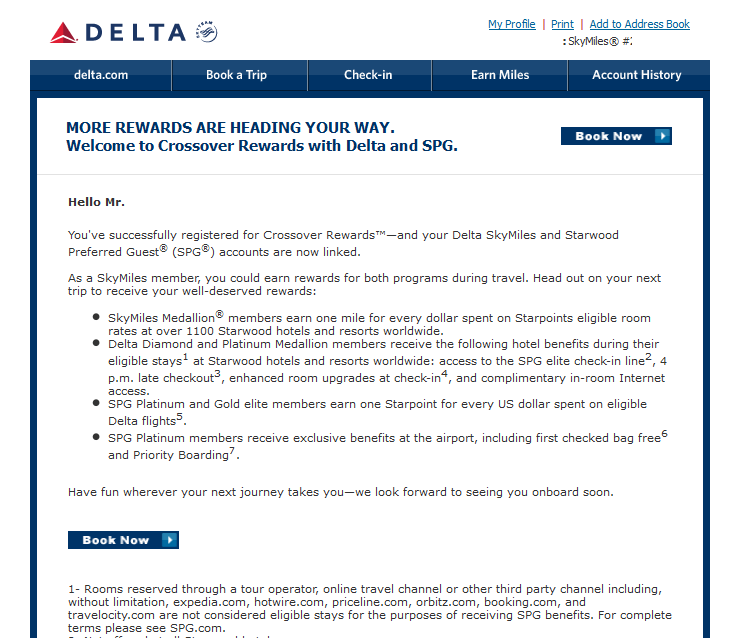 REGISTRATION for Delta/SPG CrossoverRewards is LIVE on SPG site NOW! We were NOT supposed to be able to register for the Crossover promotion until the 1st. 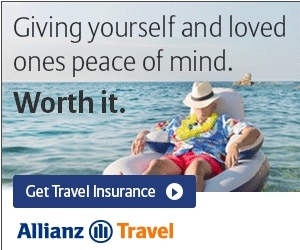 You can register at Delta.com (if you qualify) or at SPG.com HERE! 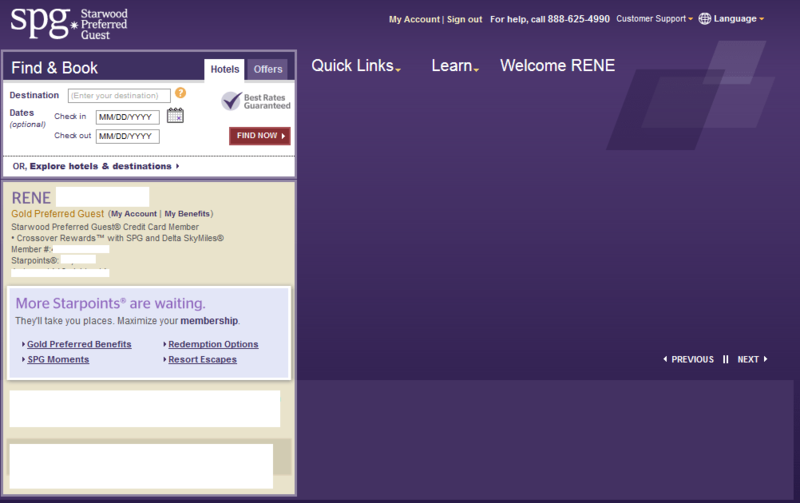 Then, just a few minuets later, I get a very nice e-mail from Delta saying I am registered also. ← Rookie Wednesday: All the Q&A you were afraid to ask! I just tried it and it kept showing network error. Why not wait until Friday, when it should ALWAYS work? Well that’s cool. Any catch here? Seems like just a straight up win win! 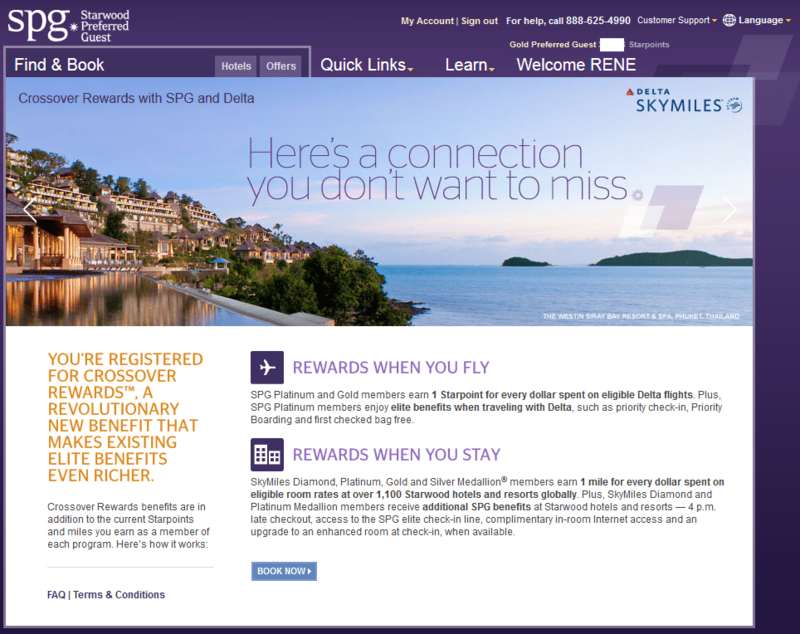 Can I earn Starpoints and/or Delta miles for flights and/or stays I completed before I registered for Crossover Rewards? No. Eligible Delta flights and Eligible Stays at SPG Participating Hotels that occur prior to registration in Crossover Rewards will not be eligible to earn Delta miles and/or Starpoints through Crossover Rewards. @Ry – you are saying two things here and wrong too! It says stays COMPLETED before 1st NO credit. The only rule they post is you must REGISTER 48hr before your stay/flight. 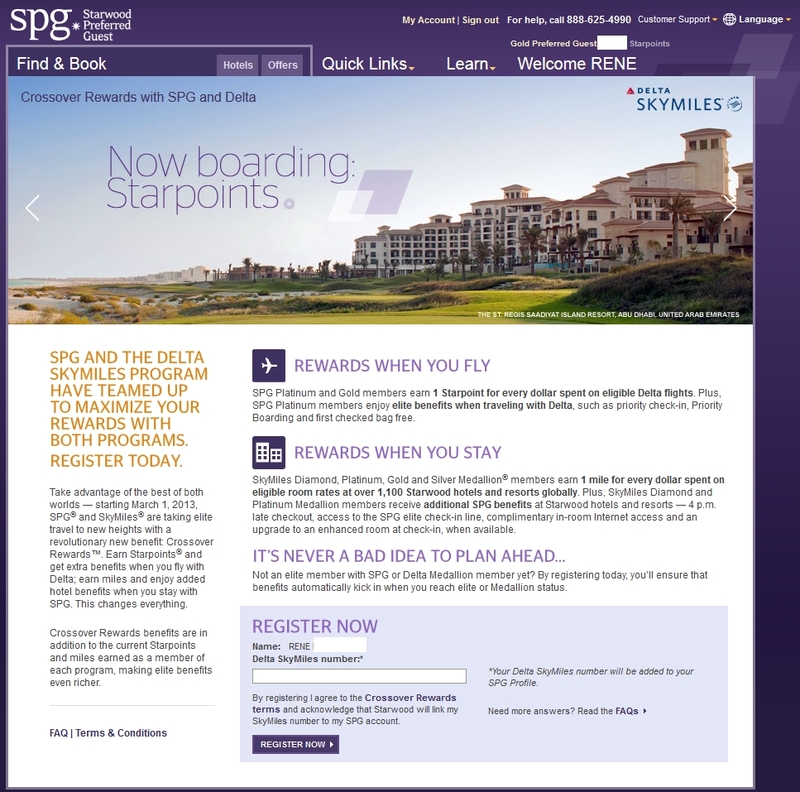 I was able to register in SPG. I see it on the screen just like yours under your name. 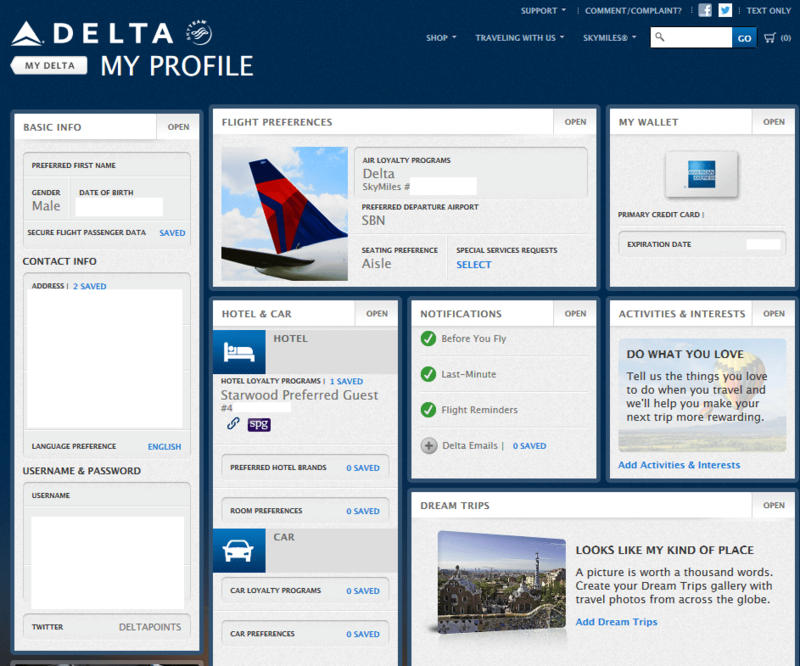 Have not got the email from Delta or see it in My Profile at Delta.com. I will wait and see what happens with Delta. I have an SPG stay this weekend! Did your SPG account update immediately to show the crossover rewards line that you show in the screenshot above? I tried first registering on SPG but got a name mismatch error (which is correct since I have my middle name on SPG but legal name on DL). Then I tried just registering at the DL link and it accepted it fine and I got the confirmation email, but my SPG hasn’t updated yet. @Farhad – it should be instant but if not they can not fix until tomorrow when it actually launches.